Accused of witchcraft, a young girl is taken under the wing of an unscrupulous government official. In recent years we've seen a growing trend of British filmmakers eschewing the UK to pursue filmmaking in foreign lands. While some - Gareth Evans with Indonesia (The Raid franchise); Sean Ellis with The Philippines (Metro Manila); Peter Strickland with a variety of Eastern European nations (The Duke of Burgundy, Berberian Sound Studio, Katalin Varga) - have opted for countries with which they share no family ties, others - Sarmad Masud with Pakistan (My Pure Land), John Michael McDonagh with Ireland (The Guard, Calvary), Babak Anvari with Iran (Under the Shadow) - have chosen to cinematically explore their ancestral homelands. The latest to join this latter group is Rungano Nyoni, whose debut, I Am Not a Witch, focusses on the superstitious beliefs that persist in the country of her birth, Zambia. Viewed with suspicion by the residents of her rural village, shy and unassuming eight-year-old Shula (Margaret Mulubwa) is accused of witchcraft when an adult woman collapses in her presence. As is customary, the child is transferred to a 'witch camp' on the edge of town, where she joins a few dozen other women (mostly elderly) who have also had the misfortune of being labelled as practitioners of the dark arts. The camp is essentially a slave colony, with the women forced to perform hard labour in the baking sun, all while attached to long white ribbons. Should she decide to cut her ribbon to attempt an escape, Shula is warned she will transform into a goat. Opportunistic local government official Banda (Henry B.J. Phiri) sees the novelty of the young 'witch' as an opportunity to promote his own political agenda, and takes Shula into the home he shares with his wife, Charity (Nancy Murilo), herself a former witchcraft accusee still forced to wear a white ribbon whenever she leaves her husband's home. Banda puts Shula to work in the local kangaroo court, where she is forced to employ her 'powers' to determine the guilt of suspects accused of various crimes. In a moment that reminds us how racial prejudice still flourishes even in Africa, Shula is advised to pick 'the darkest one' when she confesses she has no idea who the guilty party might be. 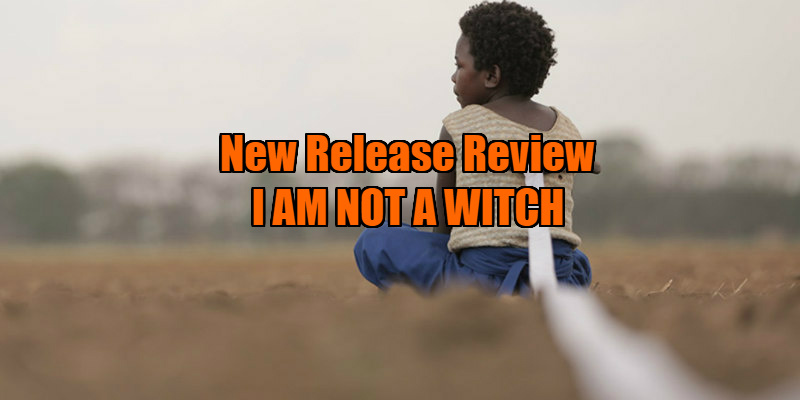 I Am Not a Witch is a film that's both vexing and often hilarious. Any viewers of a remotely progressive bent will be shocked and outraged at the barbaric treatment of women on display. Perhaps more outrage-inducing is how some, like the opportunistic Banda and a glamourpuss hairdresser who commits her own mother to the witch camp, are willing to sell out their own culture in a quest for a 'western' lifestyle, while hypocritically still engaging in practices that have no right existing in the 21st century. Realising the enslaved life that lies ahead of her, Shula asks her fellow witches if she wouldn't be better off cutting her ribbon and accepting life as a goat. As thematically maddening as I Am Not a Witch is to watch, it's primarily a black as a witch's hat comedy, and for the most part it avoids any jarring of tones, and never feels exploitational or distasteful. As the rotund Banda, Phiri displays a natural gift for comic timing. His frustration with a court witness whose phone keeps going off - the irony of smartphones being present at a trial decided by an eight-year-old witch isn't lost - is a piece of cringe comedy of the highest order. Through comedy, Nyoni has found an accessible way to highlight a social issue, one which few westerners would otherwise give a second thought to, and which many outside Africa might feel uncomfortable criticising. The question of how accurate a depiction of modern day Zambia this really is niggles me however. As an Irishman, I don't recognise the offensive backwards version of my country depicted in the films of McDonagh, so I'm attuned to query depictions of foreign cultures fashioned by members of their diasporas. But with no personal experience of contemporary life in Zambia, I'll have to take Nyoni's word, or rather images, on this matter. 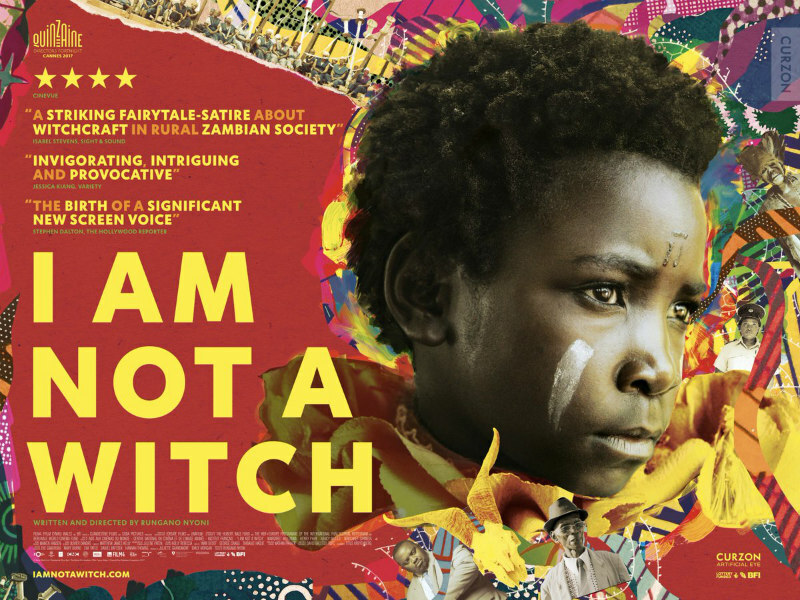 I Am Not a Witch is in UK/ROI cinemas October 20th.